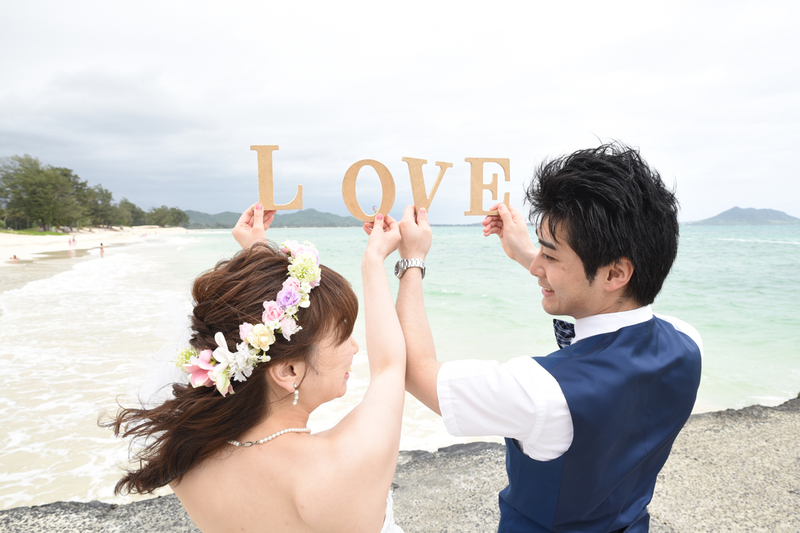 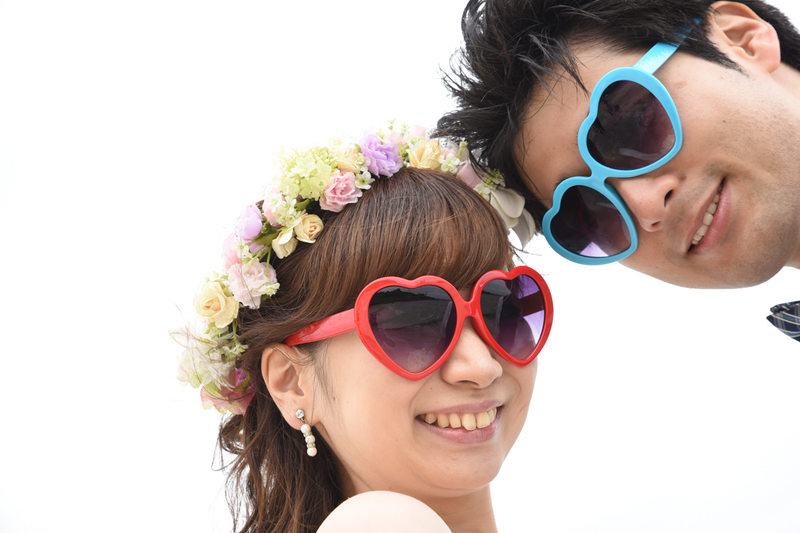 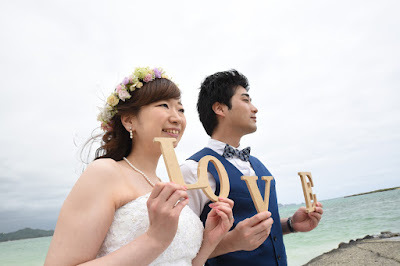 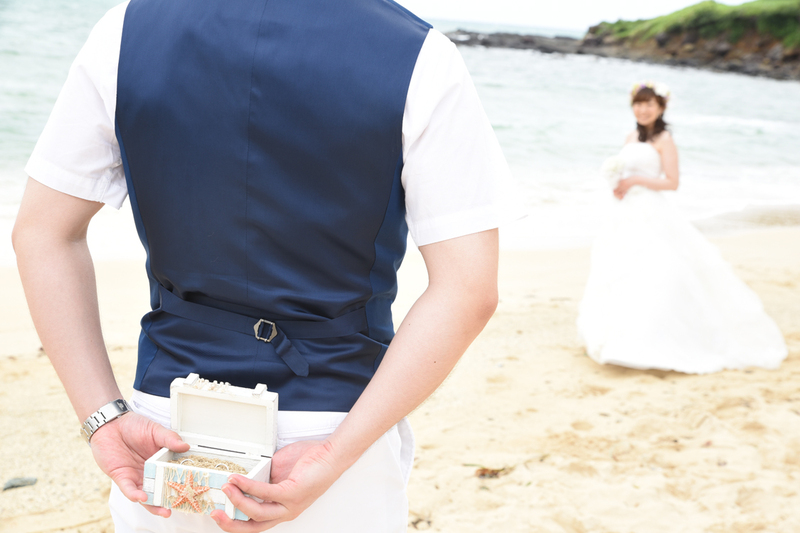 Fun-loving couple Daisuke & Yuka have a good time shooting wedding photos at Kailua Beach. 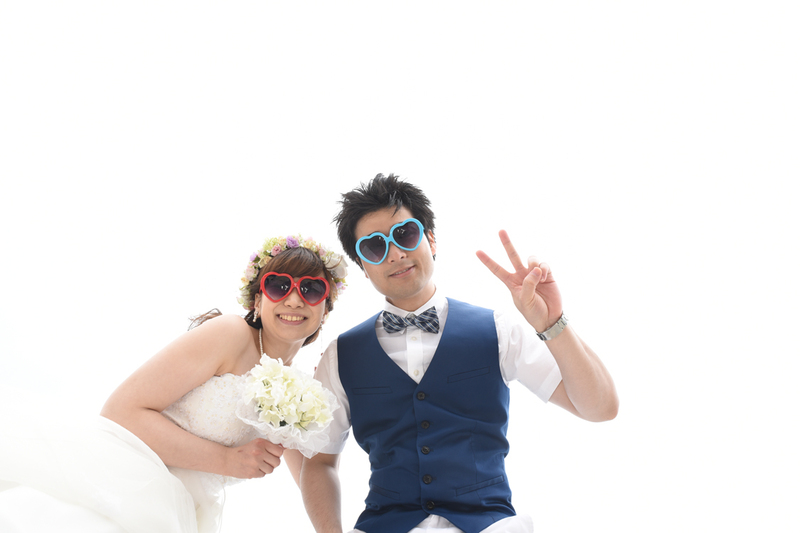 A few photo props liven up the shoot. Any good ideas you want to incorporate in your Hawaii wedding photos?